When people think of cake, they immediately associate it with sugar. Although this slice of comfort has brought smiles to many children and adults alike, there are still those who worry about how it affects their health. There are those that have tried to create healthier types of cakes, but none has reached the same marks for taste and nutrition as the blender carrot cake, which is rich in vitamins and minerals, and are especially good for the eyes. It’s the kind of cake that doesn’t taste as pure carrots at all. Because it is made with a blender, it even ends up looking like an orange chiffon cake. It is not only enticing on the outside but super healthy and yummy on the inside. *Plain yogurt, whole or fat-free can be used along with flavored ones such as strawberry blueberry, raspberry apple or even plain mango or peach. You can also try natural or Greek-style yogurt. **Pineapple juice, four seasons, cranberry juice or any citrus fruit or juice can also be substituted. After washing the carrots, peel it and roughly and chop it until you have small pieces that can fit inside the blender. 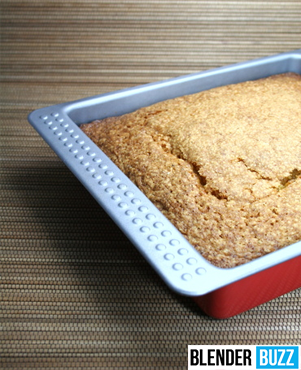 Using your flour and butter, grease and flour the 20cm cake tin that will be used as your cake mold. Place all ingredients except the flour and baking powder into the blender. Let it blend until all the carrots are in the mix and no solid is left. Add a little bit of flour from time to time, then let it blend again. Keep repeating until all the flour has been placed in. Add the baking soda and mix until all the ingredients are combined. Bake in a preheated oven (about 180 degrees C) for forty minutes. Remove from the oven. Let it cool for about five minutes after removing it from the tin can. Like all other vegetables, make sure to pick a fresh set of carrots for your carrot cake. Don’t slice it too big so that the blender can mix it with the other ingredients smoothly. Don’t forget to check your oven from time to time so that it won’t get too over burnt. Normally, it takes about forty five minutes for a cake to bake. Timing is of key, sometimes even just a minute late and your cake will be lopsided. By using the blender to mix the ingredients, you no longer have to worry about the cake not rising because it will make sure that every ingredient has been blended to perfection.